I stand behind everything I teach in this program and any others you might purchase on this site. 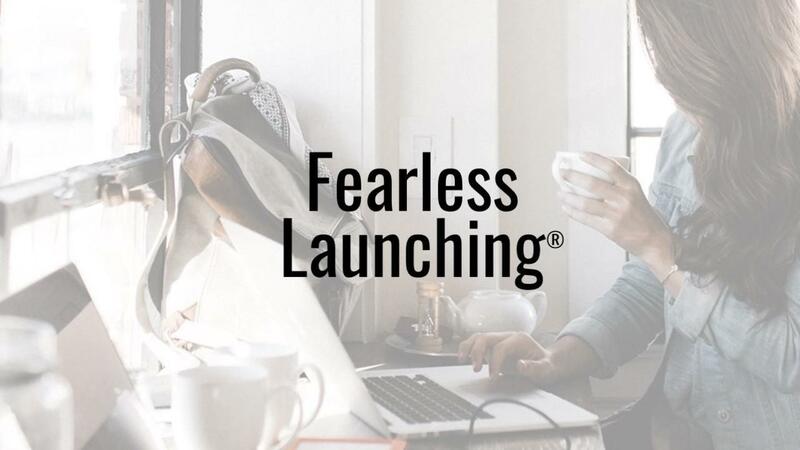 If you find that Fearless Launching doesn't work for you and your business, we will happily refund your purchase fee in full. You have 30 days from your purchase date to request a refund or cancellation of your payment plan. If your purchase included consulting time with me, you will only be elligible for a partial refund. You may contact us at: support@annesamoilov.com if you have any questions about your purchase. If you’ve selected to purchase Fearless Launching on a payment plan, you will be charged your first payment today. Your second payment will be auto-charged to the credit card information provided at the same time the following month. Full details of your plan, including exact payment dates and amounts, are outlined above and will also be listed on your order receipt. Please note that all payment plans for Fearless Launching are subject to our standard refund policy as outlined below as well a small finance charge. Any bonus promotional material associated with this purchase will be delivered upon final payment. Also, all payments must be made prior to our final consulting session together if you've chosen the VIP level. If, for some reason, an installment payment fails, please contact us right away to make alternate arrangements in order to avoid interrupted access to Fearless Launching. By enrolling in a payment plan agreement, you agree to receive periodic payment reminders from Anne Samoilov, LLC as needed. If our system attempts a charge more than 2x, we will reach out to you directly and may need to suspend your access to the product and community until payment arrangements have been made. Every effort has been made to accurately represent this program. There are no guarantees that you will earn money using the techniques in this program. Your results and revenues are entirely up to you. Any examples given are not to be interpreted as a promise or guarantee that you will have the same results. Your results will depend on YOU and the actions that you take. I am giving you advice based on my own experience and knowledge of the subject matter in this course. This is not a get-rich-quick scheme, and we make no claims that you will make any money merely by consuming the materials in this program. What you do with the information inside Fearless Launching is up to you. Fearless Launching is copyrighted by Anne Samoilov, LLC and is protected under the US Copyright Act of 1976 and all other applicable international, federal, state and local laws, with ALL rights reserved. No part of the Fearless Launching materials may be copied, or changed in any format, sold, distributed or re-purposed in any way. Please note: Paypal is only available for the full pay option. For bulk discounts on the program (5+ people) please contact us at support@annesamoilov.com. ANY OTHER QUESTIONS? Email: support@annesamoilov.com. You must select "Subscribe to our email list" to get your membership communications.